Here’s a sample answer I wrote last week with a student to a task 1 writing question in Barron’s Essential Words for the IELTS (Unit 2 passage 3). 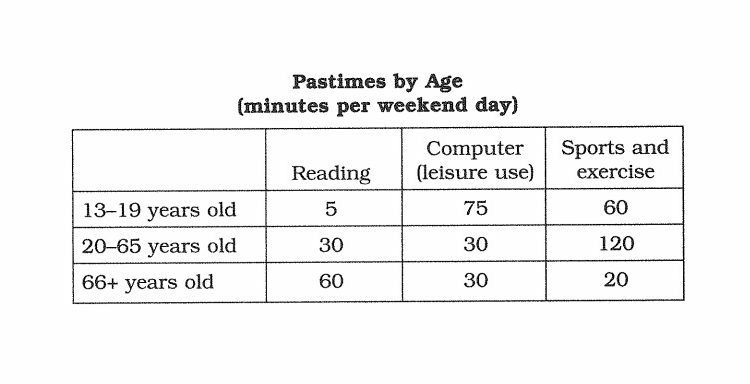 The numbers below show basic information about the uses of leisure time among different age groups. The table shows how many minutes per day at the weekend people from three different age brackets spend on various pastimes.